OK so it’s not really the purpose of this blog to write about movies, but I have to comment on what I got in the mail yesterday. 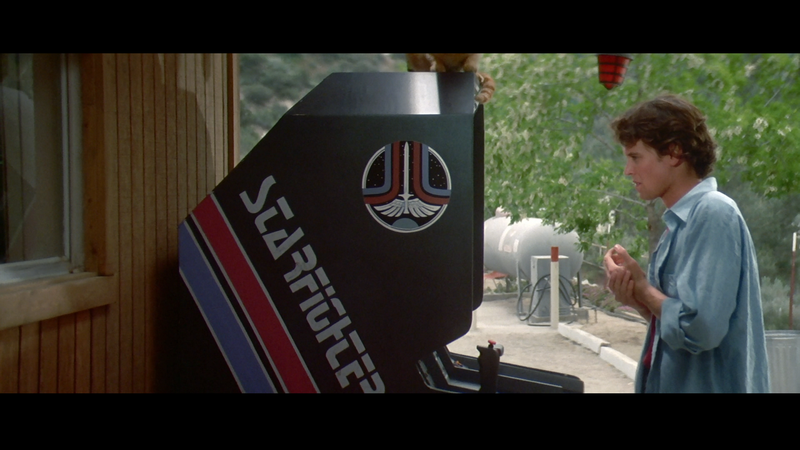 Last week Universal released The Last Starfighter on HD-DVD and for someone like me – who loves arcades, space stuff, and certain cult films from the 80’s, it’s my kind of movie to have in the great presentation that HD offers. You might be familiar with the movie even if you haven’t seen it before – a teenager whose life is going nowhere ends up getting really good at an arcade game that shows up at his trailer park by the name of ‘Starfighter’. He even breaks the world record (to which everyone in the park comes running to watch his achievement). While he’s excited about the record and his improving relationship with his girlfriend, he has no idea what is really in store for him when it turns out that the Starfighter game was actually a tool being used by an alien to recruit someone as a Starfighter to defend Rylos and the Frontier against the evil Xur and the Ko-Dan Armada many light-years away. I don’t want to give away the whole movie if you haven’t seen it, but it’s a lot of fun with a little cheese from the 80’s in there but it also features some nice action and some great lines. In fact it discusses a few things that are pretty cool – not to think that you’re a nobody just because you think you are and such. 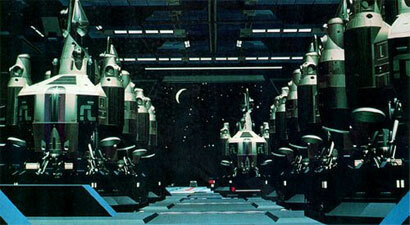 It also features loads of CGI effects – probably more so than my other favorite arcade-related movie Tron. While the CGI is outdated by today’s standards, it looks great in HD and I caught more details in things like the Gunstar battleships than when I had when I had seen the film before. This also means that the footage of the game Starfighter in action is also great to watch. In addition to the Starfighter game (which was in development by Atari and nearly finished but was canceled by Atari management when it turned out that the game would cost operators $10,000 to purchase – I sure wish some of the manufacturers felt that $10k+ arcades were outrageous today), there are a couple of other arcade related things to find in the movie, including a table-top Zaxxon game and of course the whole scene of Alex breaking the record has a total Golden Age feel to it when people would get excited for someone if they reached that sort of acheivement. It’s too bad that you don’t get to see all sorts of other classic games from the time in the film, although it was made during the game crash. Either way, I enjoyed it and it’s never looked better than this presentation on HD-DVD. I agree with all that you said AND I just LOVED this movie growing up and I do agree that the CGI outer-space graphics, they DO leave something to be desired, especially the scene where he/Alix sends the missile into the enemy ship and it spirals out of control blowing-up and If you look REALLY close you will see the explosion follows the spiral like a tornado in space. Anyone think that you can get a tornado in space??? This REALLY was a GREAT movie as a Kid, I really enjoyed it! I REALLY think that this Movie is a great candidate for TOTAL REMAKE though, with some GREAT Lucas Arts Graphics and a more Intense/Serious theme???!!! Like maybe the EARTH being at stake! Anyways, I hope some Movie Maker thinks of this soon, especially after AVATAR! I need to re-buy this on Blu-Ray now, they have the 25th anniversary edition. As for a remake, I have heard that they are currently developing a title called “Son of the Last Starfighter” or something similar to that. I’m not sure when it’s going to be coming out but Universal is interested in going there so maybe within the next year or two we’ll see the sequel, especially if something like Tron Legacy does well then I’ll bet that Universal will want to do something similar. I just saw this movie for the first time about a month ago. A bit cheesy but, it still was a fun one to watch.